The Mavic Pro is touted by DJI as the best-selling drone of all time. 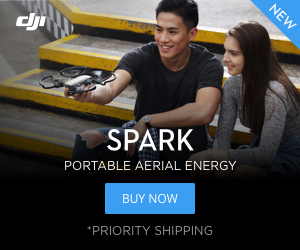 Now DJI has made that already excellent drone even better. DJI put a slight twist on the release of the Mavic 2 by releasing two different drones at the same event, the Mavic 2 Pro and the Mavic 2 Zoom. 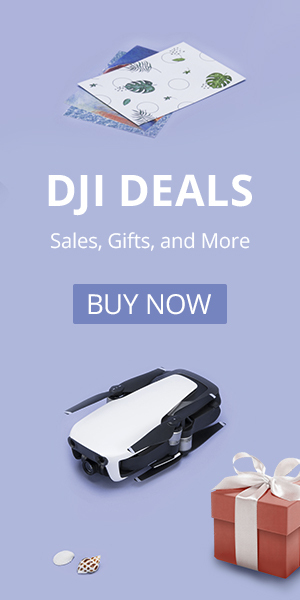 You now can choose from either the Mavic 2 Pro or the Mavic Zoom. We were there at the launch event where we were among the first to get up close and personal with the Mavic 2. Wondering which one is better for you? Check out this article by www.dronedj.com. There are some exciting new features on the Mavic 2 that are sure to make it the must-have drone of 2018 (and 2019). Soon there will even be a Mavic Enterprise. We will help you understand the differences so that you can choose the right Mavic for you. It is hard to go wrong with either Mavic 2. If you want to see how the Mavic 2 stacks up against the original or how the Mavic 2 Zoom compares to the Mavic 2 Pro check out the links below. What is New with the Mavic 2? Whether you opt for the Mavic 2 Pro or the Mavic 2 Zoom, there are a few important things that both drones share. Both Mavics share the unique folding design that put the original Mavic on the map. Both drones share an 31 minute flight time and an impressive 8000-meter range. That is almost 5 miles! Take a look at the Mavic 2 in flight. Both the Mavic 2 Pro and Mavic 2 Zoom have upgraded obstacle avoidance that will help you keep your drone safe. It will utilize the new APAS system to detect and avoid obstacles in your way. Both new Mavics will also incorporate the new Active Track 2.0 for advanced flight modes. Unlike the original Active Track, the new 2.0 version utilizes even the drone’s primary camera to augment obstacle tracking and avoidance. So much incredible technology in one hand. We flew the Mavic 2 at the launch event. DJI has also put a lot of work into what seems to be the worlds most advanced drone hyper-lapse technology. They included 3 automated hyper-lapse modes – circle, waypoints, and corse lock. We gave it a try and so far the results look good. Compare the cameras of the two Mavic 2 models. While these drones are very similar there are some very important differences. The biggest and probably most important difference is the camera. Unlike the Spark and Mavic Air, the Mavic 2 has plenty of gimbal travel. Did Hasselblad lend any of their design technology to the Mavic 2 Zoom? We asked Jon Diele, Hasselblad’s Vice President of Sales, and he told us that Hasselblad had no involvement in the development of the Zoom version of what has become DJI’s flagship model, the Mavic 2. The Mavic 2 Pro’s sensor is quite a bit bigger than the original Mavic’s sensor. We are excited about having a 1-inch sensor with improved dynamic range and new 10-bit color encoding (the original Mavic Pro used 8-bit). The Mavic Pro camera was certainly due for an upgrade, and DJI has pulled through. We are also super excited for the f/2.8 to f/11 aperture. The small f/11 aperture will provide the equivalent darkening of over ND 250, so you can leave your ND filters at home. The rubber isolation mounts of the Mavic 2 seem far more robust than those on the original Mavic Pro. The Mavic Zoom camera may not have a 1-inch sensor, but that doesn’t mean it can’t take excellent pictures and video. With its upgraded 1/2.3″ sensor this camera is still an upgrade over the original Mavic camera. The Mavic Zoom as the name implies also incorporates the ability for the pilot to zoom in with lossless mechanical 2X zoom for photos and 4K video and lossless 4X zoom when recording in 1080p. Up close an personal with the first zoom camera on a consumer drone. Zoom is a feature we have grown to love on our Parrot Anafi and we are pleased that DJI finally decided to get on board. While the zoom certainly can be fun for hobbyists, it also has some very practical applications for inspections and unique perspectives that you can’t get with a wider field of view. DJI touts the Mavic 2’s quiet props and zoom lens as an ideal flying camera for wildlife. The box is nice, but unfortunately the drone won’t fit with the back propellers installed. Like the Anafi, the Mavic 2 Zoom adds a Dolly Zoom mode. This one-of-a-kind mode zooms in on the subject while flying backward to keep the size of the subject unchanged as the background morphs. While the Anafi does a 3X digital zoom during dolly zoom, the Mavic 2 Zoom can do up to 4X composite zoom using both digital and optical zoom. Is that it for the Mavic 2 Zoom? No. DJI also included a 48-megapixel “Super Resolution” photo mode that seamlessly stitches 9 high-resolution photos together that are taken zoomed in to create a single 24 mm equivalent picture that has crazy high resolution. Pingback: DJI Mavic Propeller Test: Is the New Platinum Prop Worth It? Pingback: Autel Evo: Has the DJI Mavic Met Its Match? I think you guys are dreaming with some of those features but a better camera and gimbal will be great. Nice article.